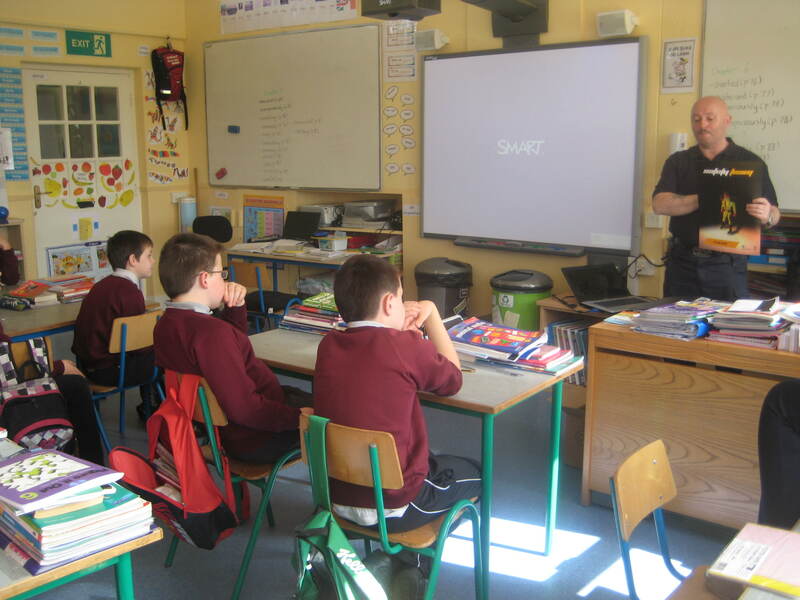 Today we had a visit from Gerry, a member of the county Mayo Fire Brigade, who spoke to us about fire safety and awareness in the home. We learned that on average in Ireland, 46 people die (6 of those under the age of 14) each year from fire in the home and over 1,000 people attend hospitals with injuries such as burns/scalds. Did you know that even a remote control can lead to a fire in the home? At the end of the talk we each got a Fire Safety pack to keep and take home to help us and our families become more aware of the importance of fire safety at home.